Kamshet is known best for its paragliding experience. They call it the “paragliders’ paradise”. They even have paragliding schools for beginners who are willing to learn it properly. The Shinde Wadi Hills is a popular paragliding take off point. Being just 100 ft to 200 ft above the ground level, it is regarded as an ideal spot for the paragliding beginners. It is believed Madhavrao Shinde’s (an Indian politician from the Maratha clan) soldiers had ambushed and fired from the hilltop of these hills during the war with the British. Kondeshwar temple is dedicated to Lord Shiva. It is an ancient elephant temple standing erect in the middle of a very dense forest. The temple is constructed using black stones and it represents the Hemadpanthi style of architecture. People are advised not to visit this temple during the monsoons because the rocky terrain makes it a tough climb. Mahashivratri (a festival dedicated to Lord Shiva) is celebrated with great enthusiasm here. The temple also has Shri Khateshwar Maharaj Samadhi, a pond and a beautiful waterfall in its vicinity. Pavana Lake is an artificial lake which is formed by the Pavana Dam. 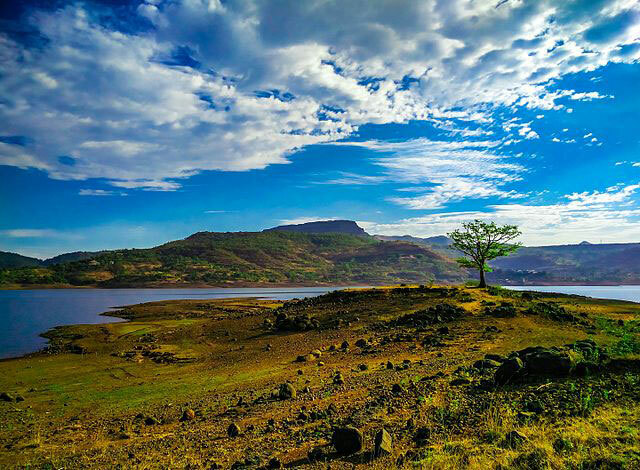 There are three forts located near this lake, namely, Lohgad, Tikona and Tungi forts. This lake is also near to the Bushy dam, Naghanj and Rajmachi. Pawna Lake has many other spots in its locality. The lake is also a treat to the eyes during sunset. When the color of the sky is reflected on the water, it ought to give you some sort of satisfaction. 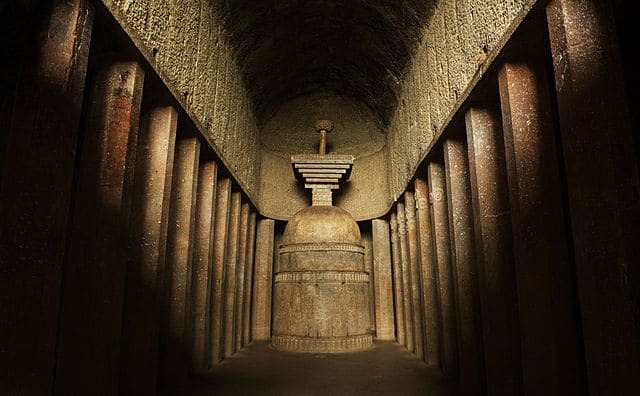 Bhairi caves is situated on the high rocks of Kamshet. People say that animal sacrifices still takes place here. They have numerous cooking utensils and according to the beliefs of the locals, if anyone ever tries to steal them, they are punished by their God and they throw them in the nearby valley as the earthly punishment. The caves can be reached by trekking but the trek is pretty rough, challenging and tricky; at some points, one can even call it dangerous. These caves are one of the oldest caves of Maharashtra. They date back to 60 BC. Though they are a little far from Kamshet, they can be easily travelled to. These caves are located on a sloppy hill location. They contain 4 twenty-five feet high pillars. Bedsa Caves also have exquisite carvings and are known for their beauty. They are Buddhist caves and the main cave is a ‘Chaitya’ (Chaityas are Buddhist prayer halls) with a huge stupa placed in between. Kamshet is featured as a must visit destination in India for adventure enthusiasts. It is advisable to avoid this place during the monsoons because one might not be able to try paragliding – the major attraction of Kamshet; however, one can see the waterfalls during this season. Apart from that, the mild climates of Kamshet during the summers and winters make it the perfect vacation destination for all kinds of people. The adventure, the beauty as well as the history of Kamshet will make you fall in love with this place. It would definitely capture the hearts of every adventure lover.